Forests Forever frames new fights in 2015! You might expect such a phrase to be emblazoned across a poster advertising a drive–in slasher movie circa 1957: "They came on with hatchets and chainsaws, chopping into their victims' trunks and severing their limbs! They died where they stood! The townsfolk reeled before the onslaught!" But hold on a minute. That's not too far off the mark. Sadly, a fantasy exploitation flick dealing with mass mayhem is less grisly than the all-too-real-world reality of hack-and-squirt forestry. Click here to learn what Forests Forever is doing to stop the poisoning of millions of trees per year in California. But our fight against landscape–scale tree poisoning is only one of the two major campaigns we helped lead in 2015! The other, a fight for long–sought logging–regulation reform, progressed stubbornly but, by year's end, steadily in the right direction. ongoing degradation of the state's forests! Our success in this effort should have profound, long–lasting ramifications—going forward, preventing forest degradation from recurring, while laying the groundwork for forest restoration to get going in earnest. Find out more about how we are leading the fight in this historic logging–rules reform effort. We are sending you this e-Alert, of course, to urge you to lend your strong financial support, which will allow Forests Forever to press ahead in the fight to do away with landscape–scale tree poisoning, starting here in California. Please give generously today. Your backing also will allow us to finish the job of reforming the state's badly flawed forest-practice rules, making sure that logging is policed independently, efficiently, and with full effect. Click here to back our efforts. As you can imagine, Forests Forever is involved in or monitoring an array of forest issues beyond our top two campaigns described above. 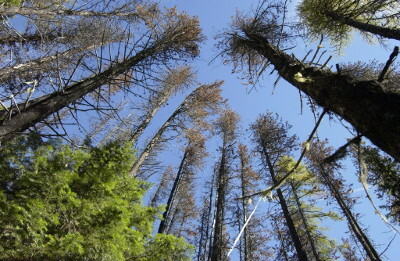 As ever, the world's forests remain a common thread connecting many if not most major environmental issues— global warming, drought, loss of biodiversity, recreation opportunities, resource–use differences between rich and poor countries, air and water pollution, wildfire, and more. 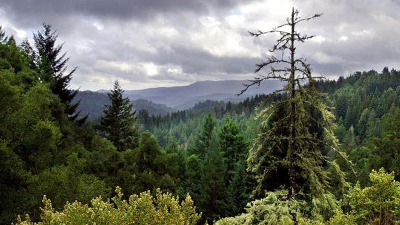 long on protecting California's forests and forest wildlife through broad-based grassroots advocacy. Every day of the week (and on more than a few weekends) Forests Forever organizers interact directly with citizens of the Golden State, making them aware of forest threats and opportunities to undo and prevent damage done to our forestlands—and too often, to our democracy—by unbridled industry practices. In 2015 we completed our transition to advocacy aimed at the executive branch (formerly our focus had been legislative) and making better use of laws already on the books. Our expert and highly regarded advocate, Richard Gienger, in 2015 probably attended hundreds of meetings and spent thousands of hours in policy discussions, and certainly drove thousands of miles in the course of speaking and writing on behalf of our cause. Your financial support is urgently needed to allow Forests Forever to continue this vital work! One of our chief goals at the start of 2015 was to ramp up our social media position in a big way. I'm pleased to report that we have succeeded well beyond our expectations. As you probably know, today NGOs that fail to connect with their audience via social media risk going unnoticed. In June 2015 we counted 663 Page Likes on our Facebook site. effort to produce and refine our Facebook content, and dedicating the resources necessary to keep up with this challenging form of outreach we stand at over 3400 Page Likes. This five-fold increase in our Facebook following is quite evident in increases in measurable interaction with our posts—click–throughs, shares, and other metrics. By the end of August our Engagement stats had topped 6000 persons per month. Click here to Like Forests Forever's Facebook page. Our grassroots organizing efforts grew impressively in 2015, as we made tens of thousands of contacts with concerned citizens through our phone and field canvass programs, powerful organizing tools that are among our strongest assets. What appears before us in 2016? 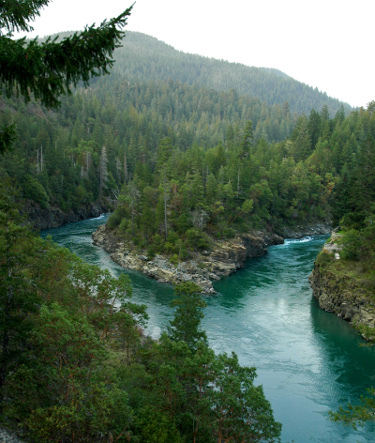 As mentioned, we expect our first foundational pilot project to roll out early in 2016, with more pilot projects to follow, and we expect to make still further strides in bringing democracy's checks and balances to the management of California's forests, watersheds, waterbodies, soils and wildlife. Take a read of some of the other things we see ahead next year! and attitudes are noticed everywhere. 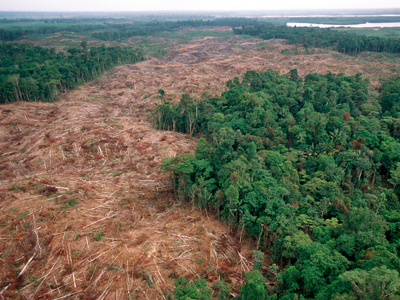 It is global leadership in forest policy we are concerned with here. We appreciate your help in its advancement. May the Forests be With You in 2016.